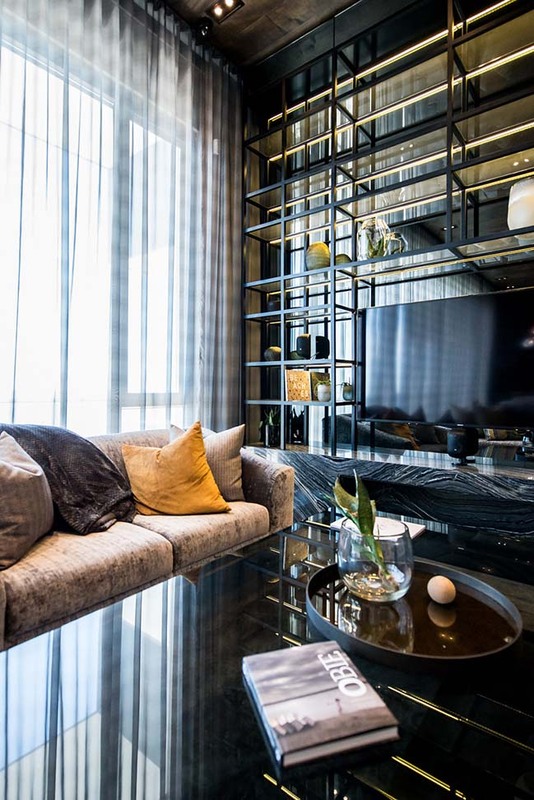 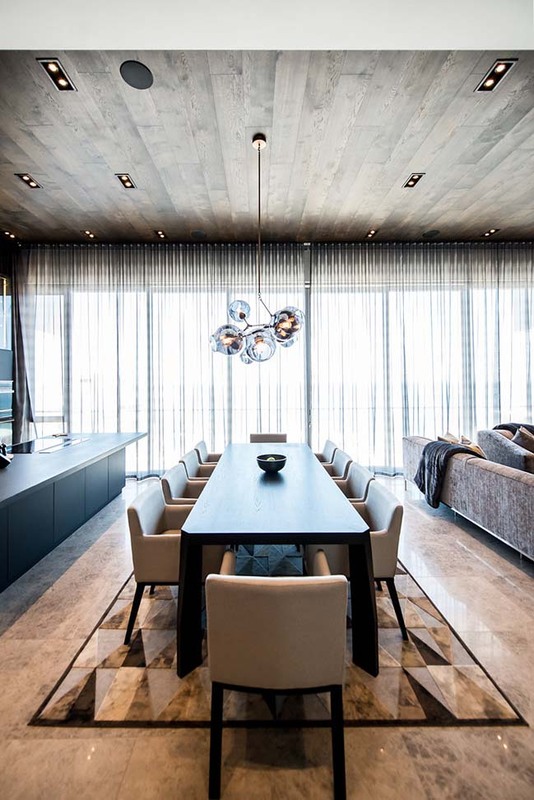 From the architect: The interior was conceptualised to maximize the scenic views and create an ambience suited to the modern entertainer. 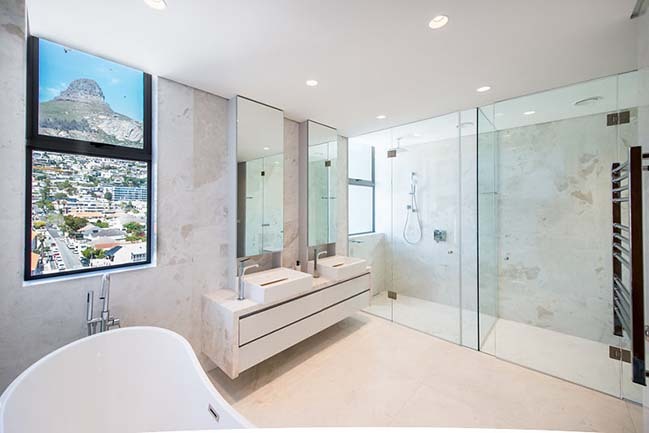 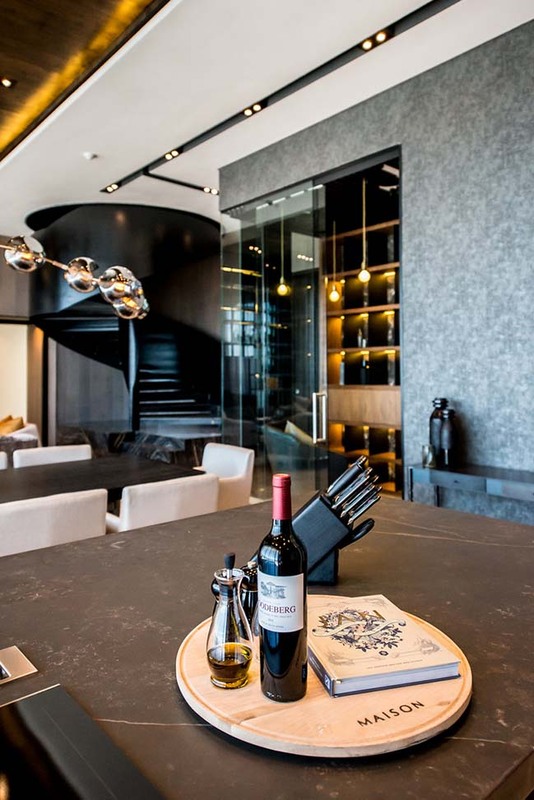 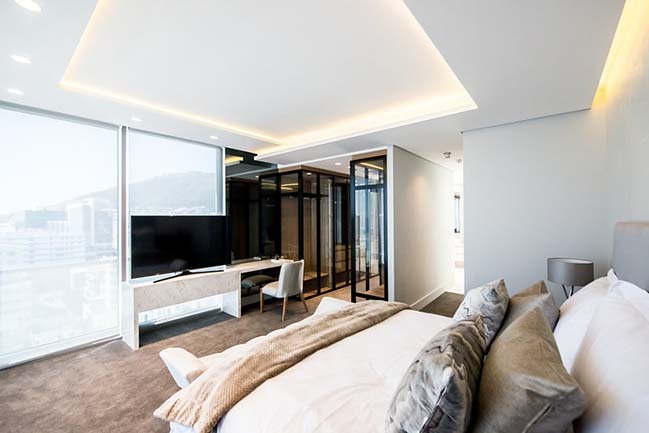 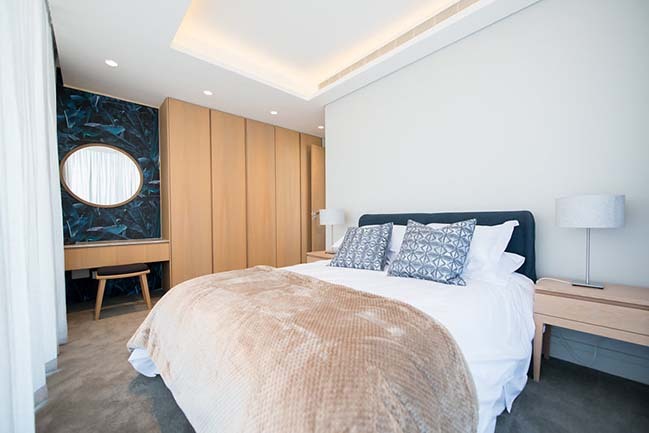 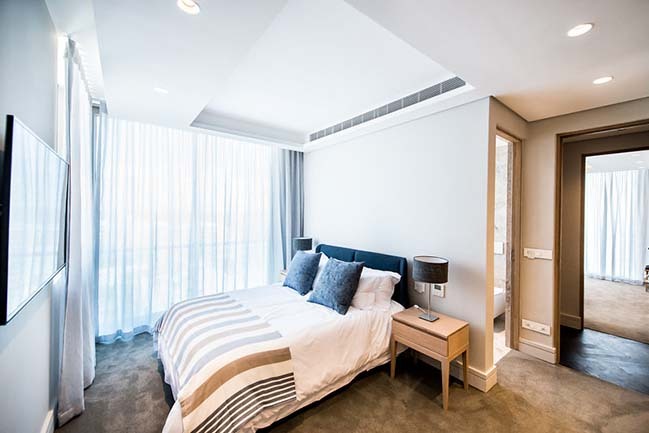 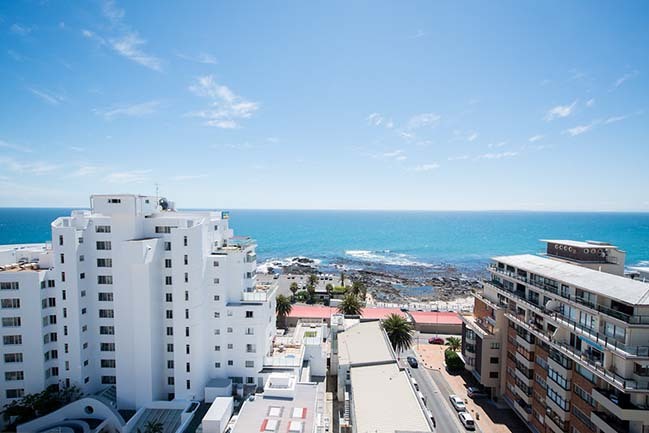 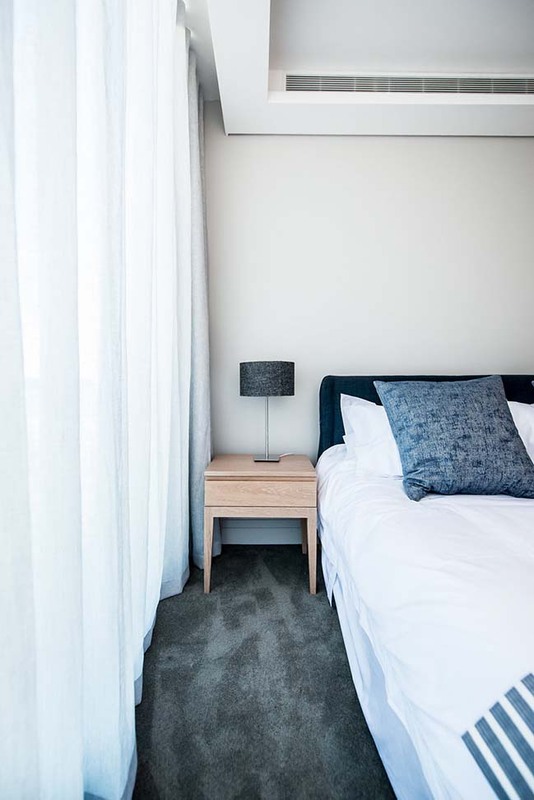 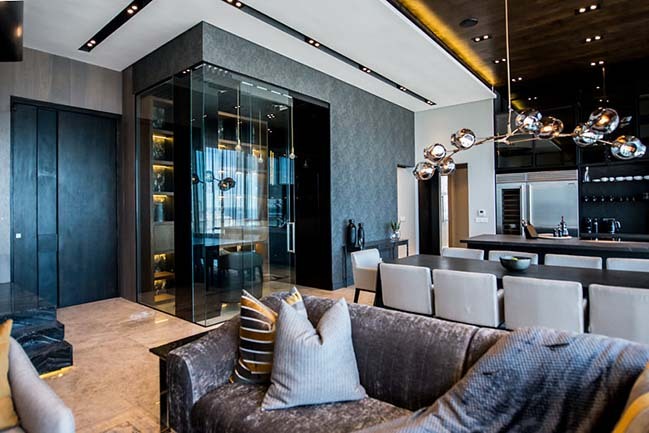 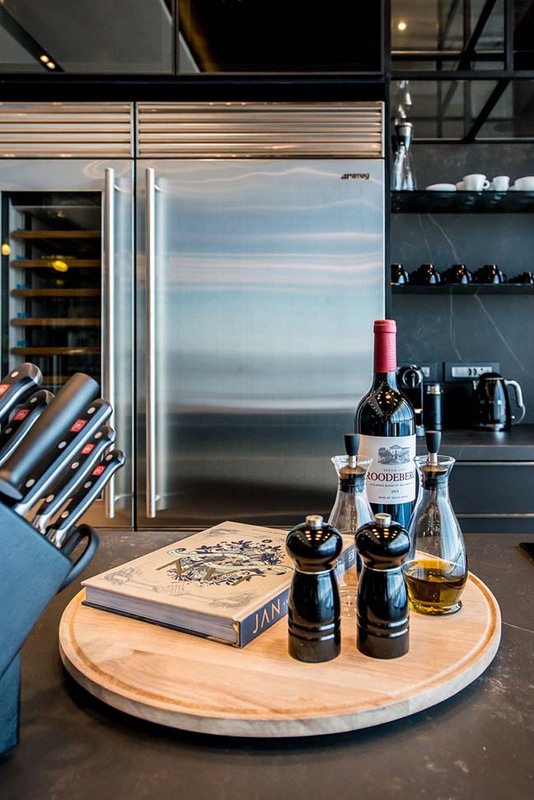 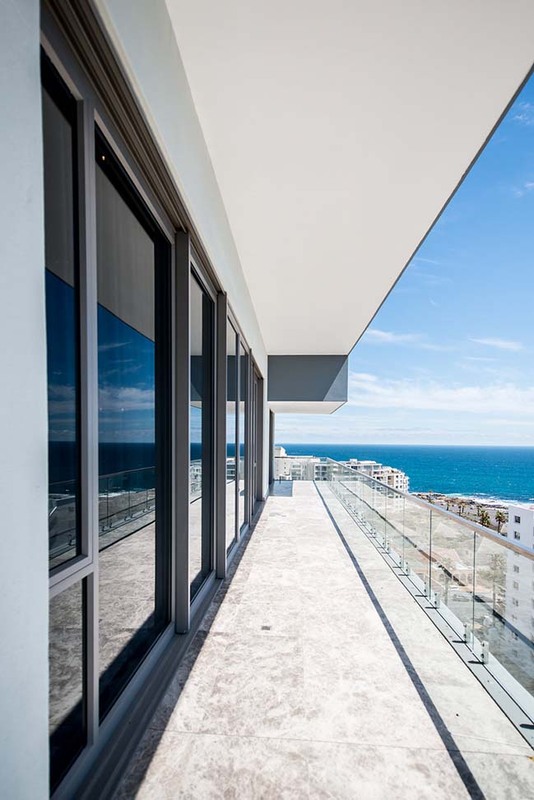 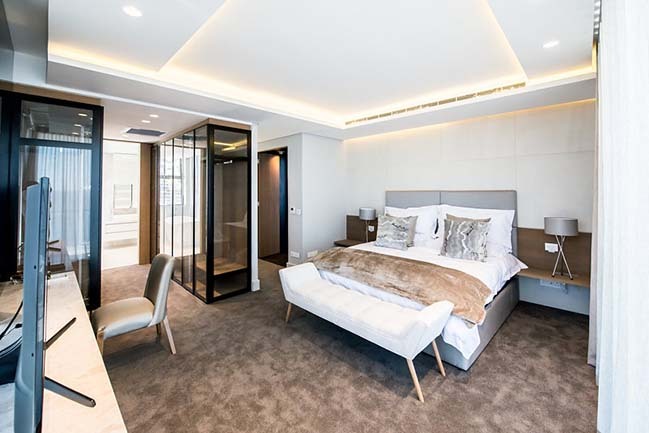 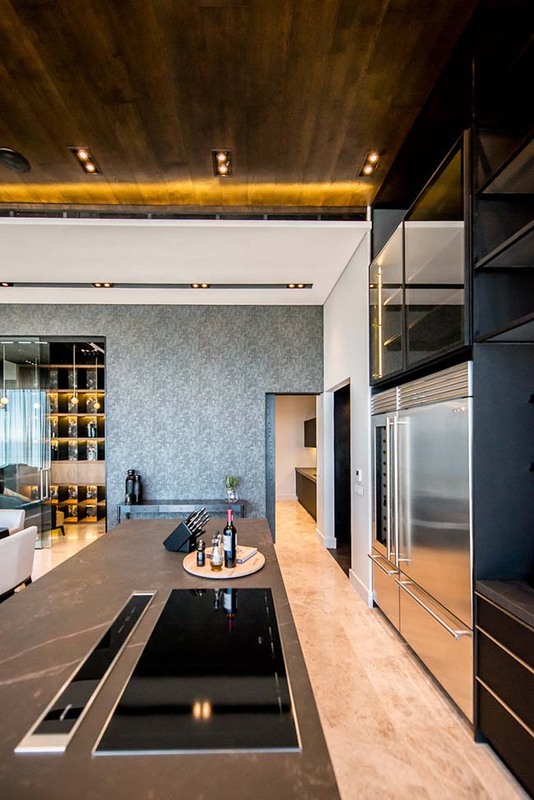 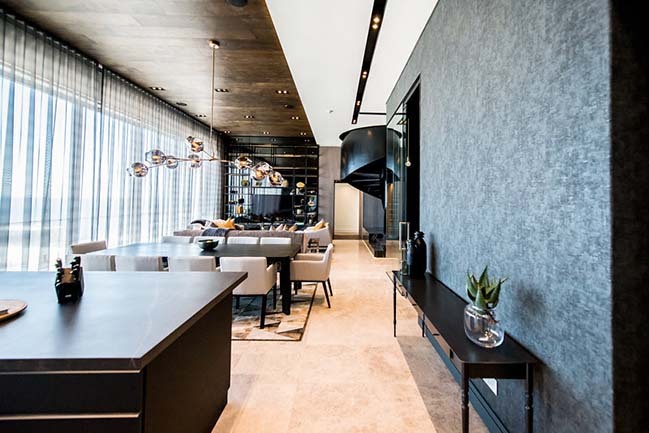 Because the Fairmont building overlooks the Atlantic seaboard, the interior of the penthouse was oriented to offer dramatic sea views and stunning sunset vistas from every angle. 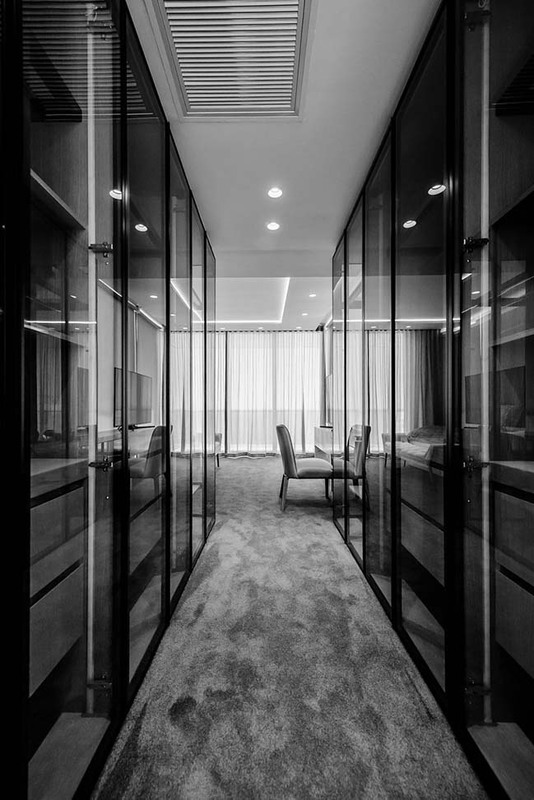 The look-and-feel focused on elegance and masculinity. 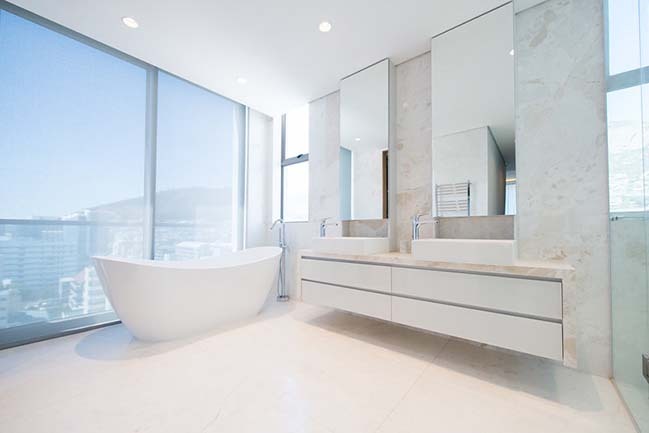 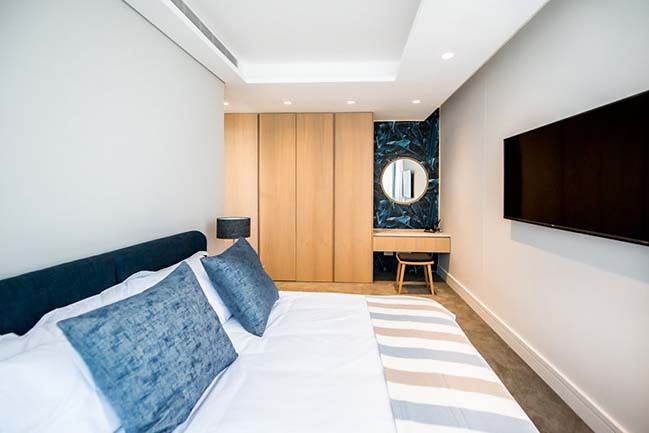 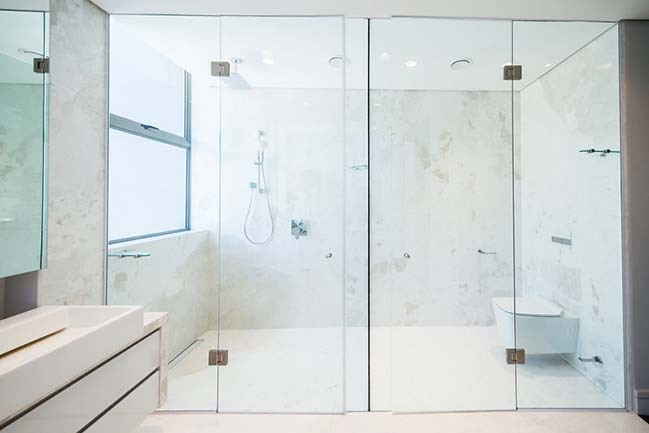 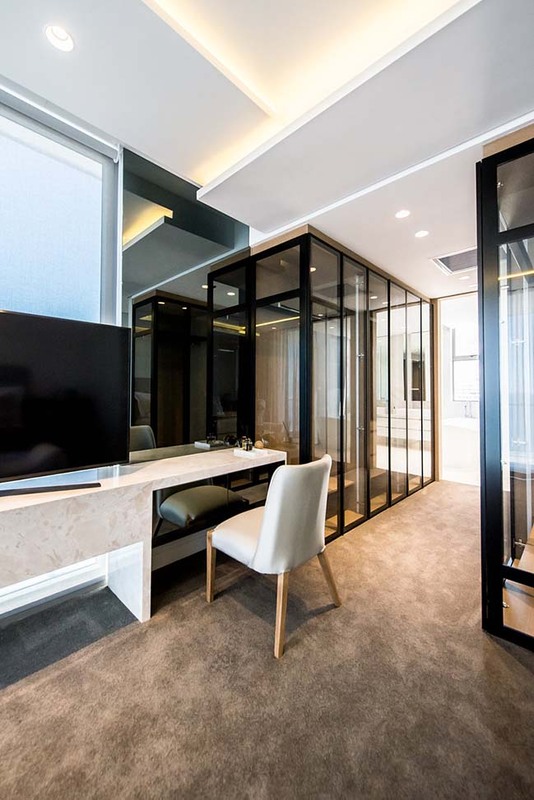 Modern materials used include timber, glass, steel, mirrors and marble. 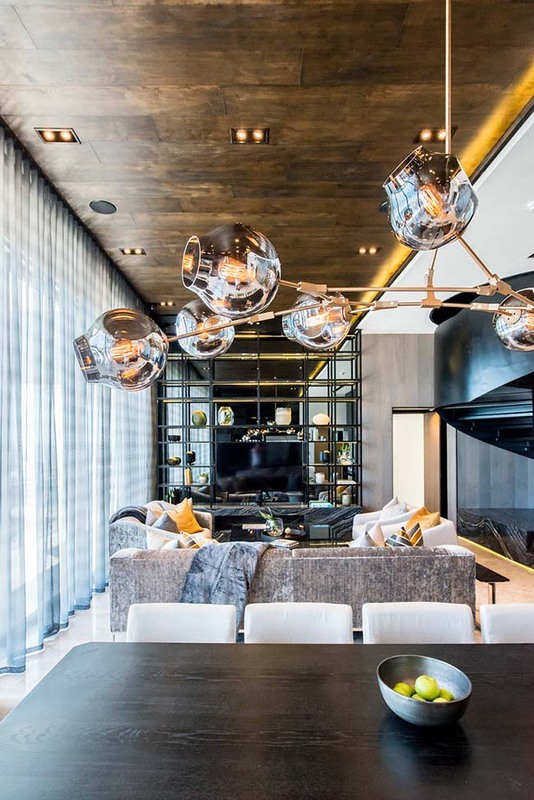 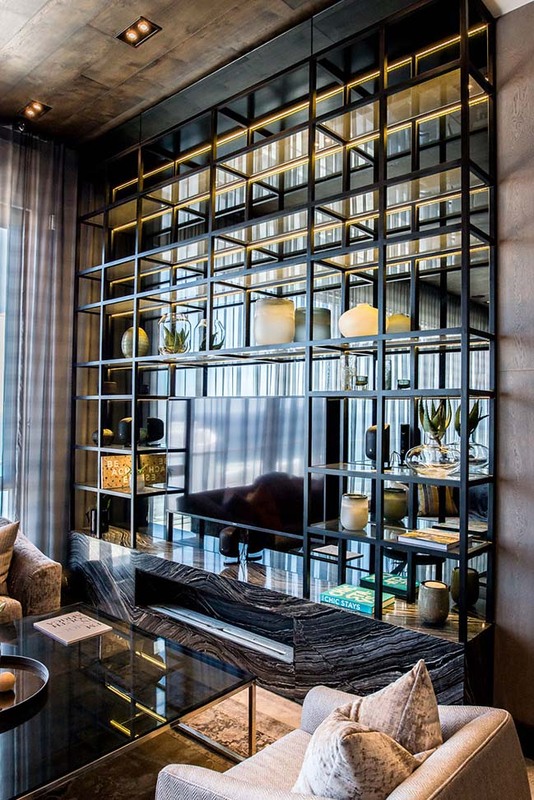 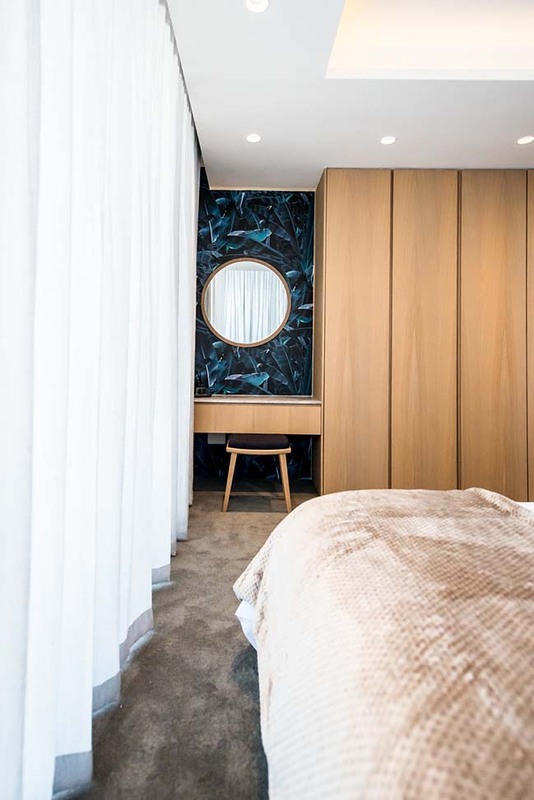 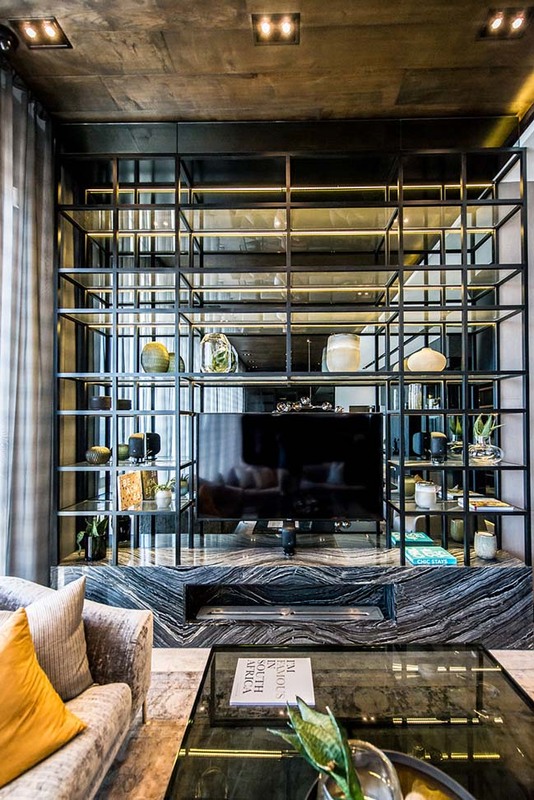 “The materiality of stone, timber and steel work well together to create an opulent and modern style,” explains Phillip Wyatt, fellow Director at Inhouse. 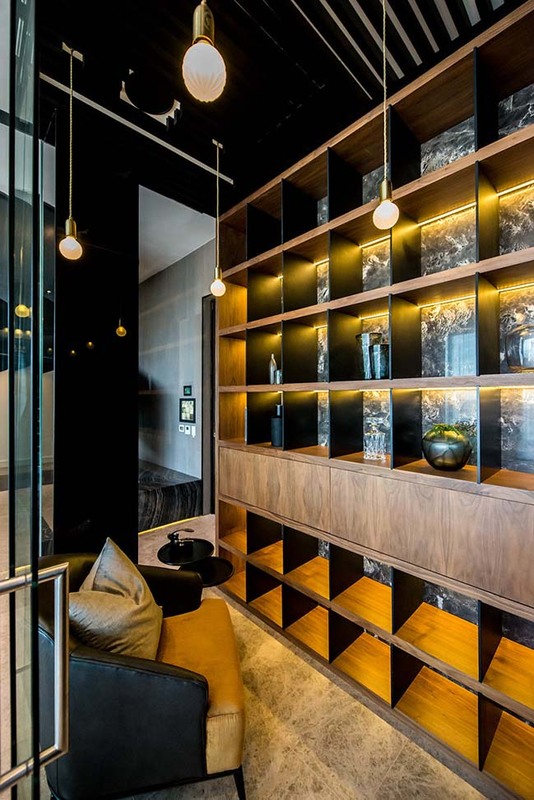 Sustainable timber was used for the ceilings and joinery. 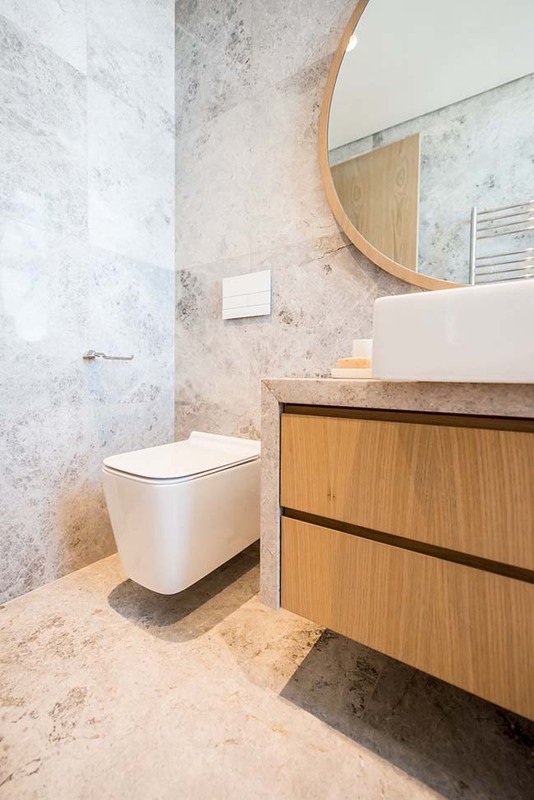 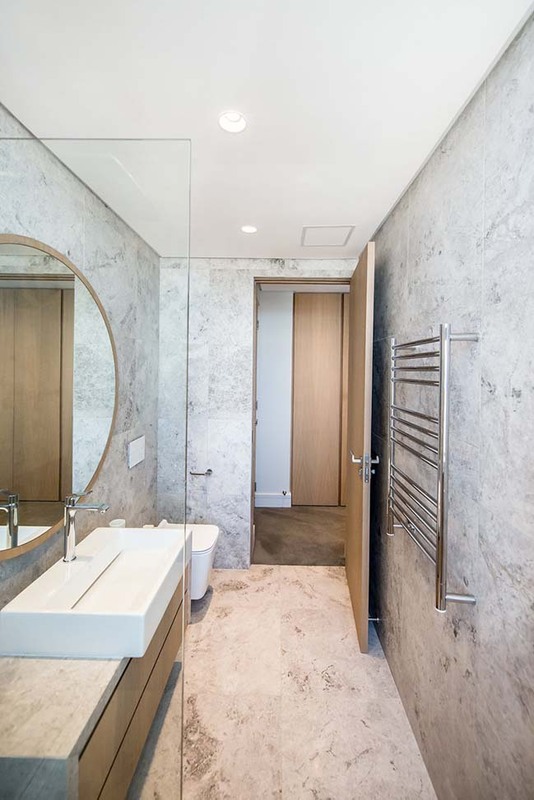 Inhouse chose marble - with its beautifully ranging surface - for the floors and wall cladding as a classic indication of luxury. 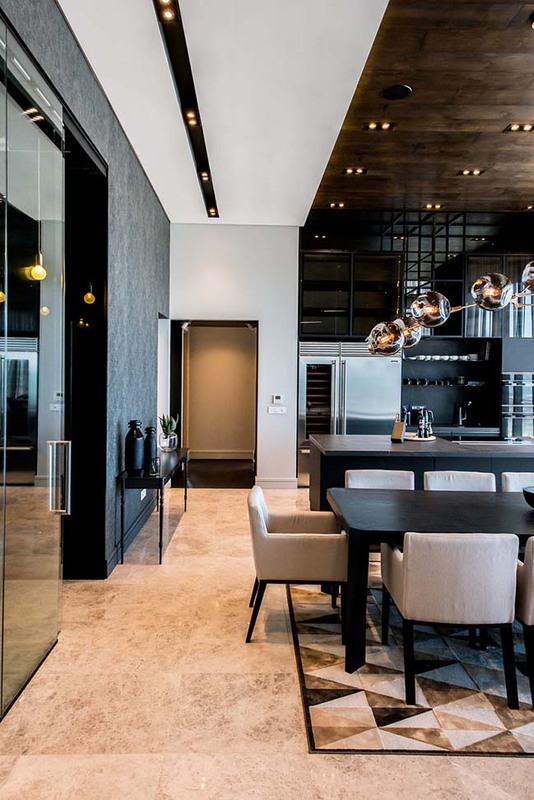 The luxurious atmosphere is further emphasized by a customized, pivoting front door, high ceilings and modish furnishings. 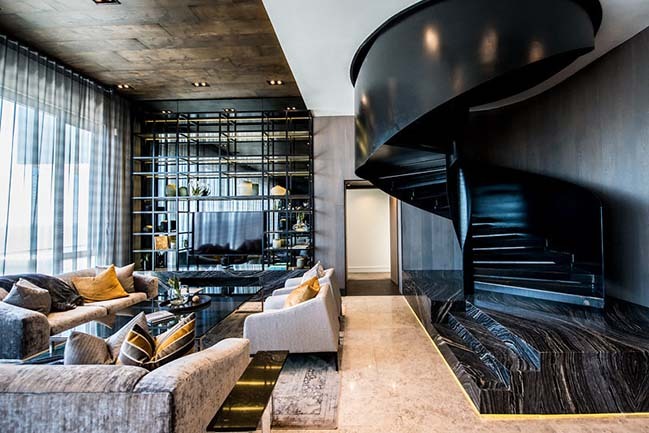 Added to this, there’s a private whiskey room sheathed in glass and a robust spiral staircase that makes a grand statement. 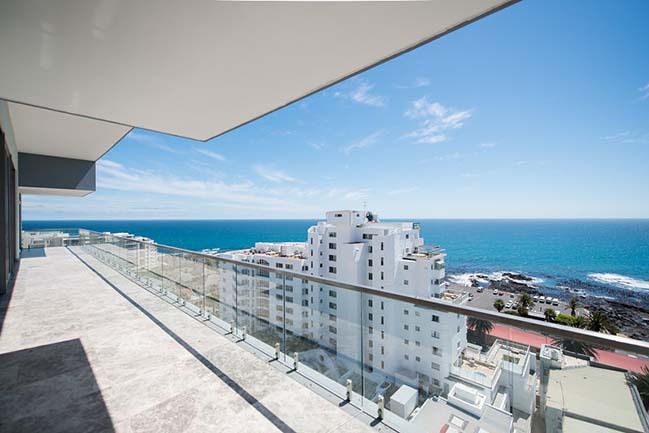 The astounding circular stairwell allows easy access to the breath-taking rooftop which has exceptional views of the Sea Point surroundings. 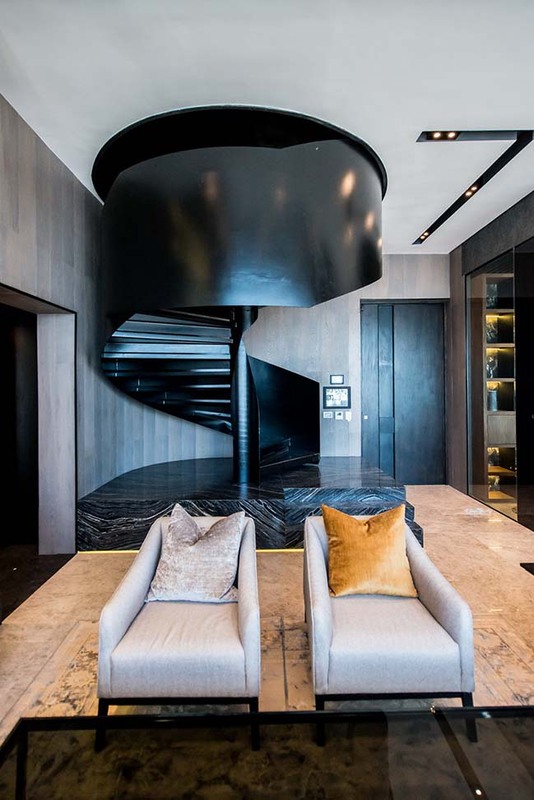 Made of strongly curved steel coated in black and floated on a marble plinth, the stairwell was designed to “make the journey to this area of the apartment more profound, thanks to the introduction of a sculptural element,” explains Hart. 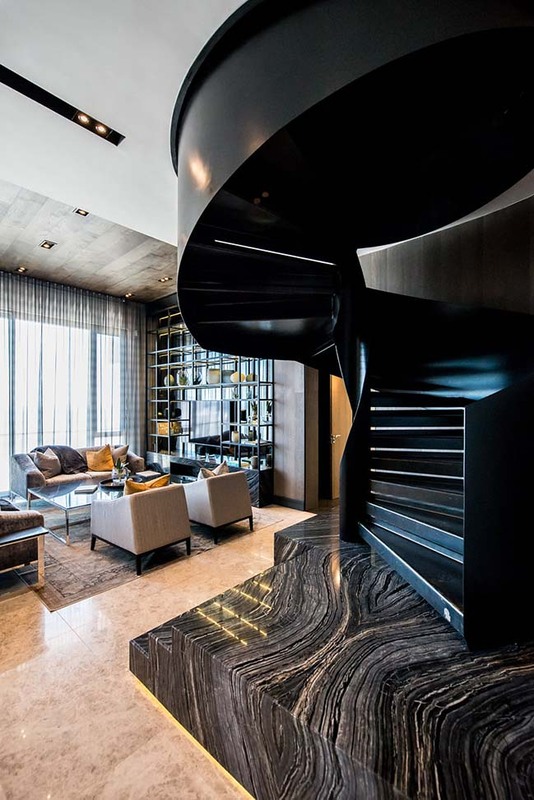 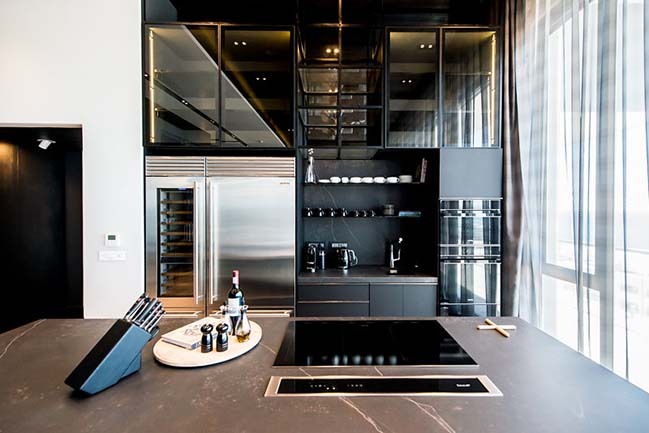 Its bold appearance contributes strongly to the sense of style and singularity that pervades the penthouse.